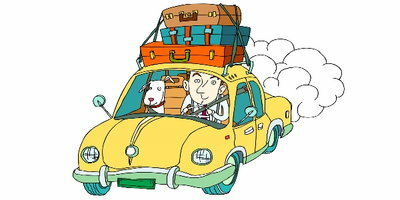 Pets are the family we actually want to go on vacation with, and during these trips their safety and comfort is priority. When I was a child, my family took a trip with our beloved Chesapeake Bay retriever. By the time we had traveled 2,000 miles to Canada, poor Otter was so stressed out that the border guard was in danger of being eaten. In retrospect, there were some things my parents could have done to make the trip easier and more pleasant for her. Some vehicles are more comfortable for our four legged friends than others. 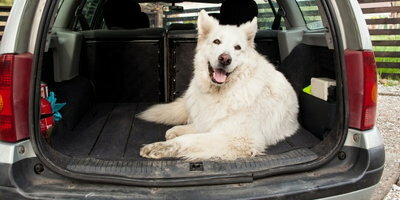 A particularly pet friendly model to consider is a minivan with low load floors for ease of entry. This feature is especially convenient for older or bigger dogs that are more prone to hip issues. If lifting a 50 plus pound animal is not an option, consider a loading ramp. 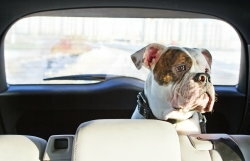 Also, many manufactures offer seat covers to protect against shedding and drool to help preserve Fido’s chariot. Your pet’s needs are similar to yours, with maybe a few additions to consider. 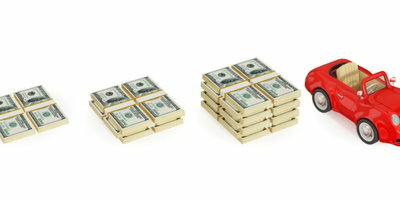 Think about what essentials both of you need when you’re away from home, and make a list so you don’t forget anything. Losing a pet is a nightmare you never want to experience, so consider putting some safeguards in place. Micro chipping is always a great idea for our pets, but especially so when traveling. Make sure your cell phone number is on their id tags, and don’t forget to bring a picture of them in case of separation. Many states require proof of shots, so bring copies of those as well as your veterinarian’s information. 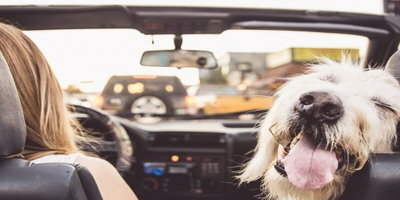 It is not particularly safe to leave an animal loose in a vehicle, and no one wants their pet to turn into a flying projectile during an accident. 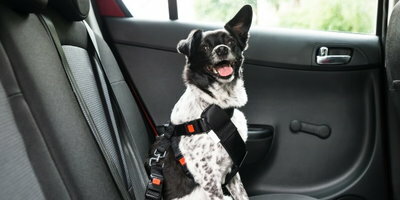 Crates and pet barriers are both options, but the safest way to secure your pet is with a pet harness. 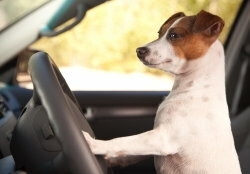 If your pet is not restrained and you are in an accident, you may be charged with distracted driving. Another danger if you have a small pet is that they could get tangled in your feet and the vehicle pedals. It is also recommended that you do not allow pets to put their head out of a window because of the danger of objects striking them, risk of them jumping out of a moving car, or dust particles getting in their eyes. 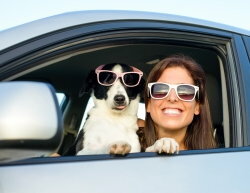 Before you leave for that road trip with your pet, make sure you have a reliable, safe and comfortable vehicle, even if your credit is less than perfect, Auto Credit Express specializes in helping people with damaged credit. 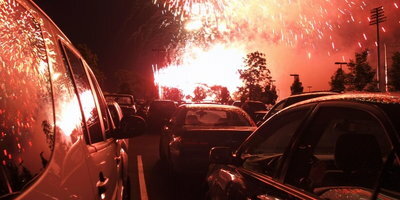 Fill out our quick and secure application today, for the perfect car for you and man’s best friend.